A number of Falun Gong spiritual followers have filed a lawsuit against Cisco while accusing them of helping the Chinese government track down, identify, and persecute their members. Cisco allegedly built specialized computer software that tracked their online activities. Cisco responded to the lawsuit by denying the allegations and said they only sold China standard networking equipment. Furthermore, the company insisted that they did not provide the foreign government any special or customized technology. The lawsuit was filed a week ago in San Francisco by the Human Rights Law Foundation based in Washington. The foundation worked hand-in-hand with several lawyers who represent the Falun Gong members who either live in China or in the US. 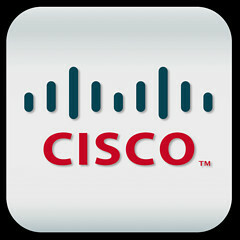 Cisco is the number one seller of computer networking devices all over the world. They also sell a variety of equipment in China. The lawsuit filed against the company says that Cisco knowingly helped China design and operate a surveillance and censorship network called the “Golden Shield”. The Golden Shield is a system that Chinese security officials to track down and identify members of all banned groups in China, Faun Gong included. The captured members are allegedly subjected to human rights abuse such as torture and extrajudicial killing. Cisco is firm in denying any linkage to the Chinese government. They said that the company builds tools which allow free exchange of information following global standards. In addition, they said that they sell in China the exact same merchandise they do here in the United States and all other countries.